IMRAAN NOORBHAI, Standard Bank Provincial Head KZN, says, "I attest that I see the need to keep learning and enquiring. I am never satisfied with the basics and always demand to know more, ask more, and seek more in my quest to have a better understanding of the industry I operate in and the outside world and how things interconnect with each other in the global village. "Over the years, this philosophy has driven his career path. Noorbhai studied at the University of Durban Westville, where he completed his formal studies as an accountant. Thereafter, he joined Desai Jadwat Inc. where he served his articles as a trainee accountant. He commented, "As is customary I recall being successful within 24 hours of completing my articles." Noorbhai then joined the motor industry at a company called Competition Motors as General Manager for the facility in Johannesburg. Within two years he was approached by a core supplier of Competition Motors to join their team as Financial Manager in Kyalami. His departure from the motor industry was in 1998 where he assumed the role as accountant at Standard Bank Personal and Business Banking SA. 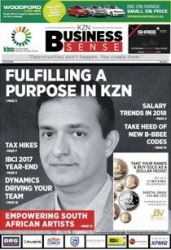 His career at Standard Bank spanned various roles from Sales and Distribution to Accountant, Management Accountant, Financial Manager and finally Director Finance for Customer Channels PBB (SA). Noorbhai was nominated as a Star and Super Star performer over five years. In 2010 Noorbhai decided to take up a business opportunity in KwaZulu-Natal as Head Retail Banking. He said that his career breakthrough was when he was appointed Director Finance at Standard Bank and in 2015, Head Province KwaZulu-Natal. During this time he was successful in being nominated for three prestigious leadership programmes facilitated by GIBBS. One in New York, one in China/Hong Kong / Nigeria and one in London. He says that success is always about never being content with what you have but to seek out the opportunities that lie ahead. "I challenge the status quo, always seeking better ways to get the job done and the need to move away from the conventional if it's not working. This attitude to life I believe is one of the reasons for my success. Seeking knowledge from cradle to grave and learning from my mistakes," said Noorbhai. He recently completed the Financial Advisory and Intermediary Services (FAIS) Act RE5 and RE1 (Key Individual) examinations. In most instances he says that his greatest learnings have been derived from horizontal moves in an organisation that allows him to test his abilities across different environments. This he says strengthens ones capabilities to navigate the complex world of business. "My style has changed as the demands of the modern world has evolved. I am always trying to be more engaging and supportive whilst ensuring that as a leader I meet the demands that our customers require of us. I have learnt that the team approach is key to a successful leader where collaboration and servant leadership paves the way for ultimate success," explained Noorbhai. Currently, Noorbhai is also an active member of the KZN Growth Coalition, SAIPA, SAICA, the Durban Chamber of Commerce, and the Minara Chamber. Speaking of Standard Bank Noorbhai says, "We see ourselves more than just a bank and measure our value beyond financial outcomes. By using the fundamental power of financial services and operating in a sustainable and inclusive way we have been able to make many positive contributions socially, economically and environmentally. Every Standard Banker plays a part in delivering our purpose and with this commitment we will continue to contribute to the prosperity and wellbeing of the societies in which we operate in, positively driving Africa's growth in a sustainable and inclusive way." "My plans to 2020 is to continue to build a strong brand team and brand in KwaZulu-Natal and ensure that I leave a positive legacy when I do move and take on different challenges," said Noorbhai. He concluded, "My team always asks me 'what's my next...'. For me it's about enjoying every moment at work and home. I guess the Chinese talk about work life balance as 'it does not exist', it's all about coexistence. I enjoy quiet time with family and ensure I do plan some activity to sustain some fitness levels like jogging and swimming. My perfect holiday destinations will always be exotic islands where I can just enjoy the beauty and nature."